ZMQ develops board games as well as electronic games on various social issues. 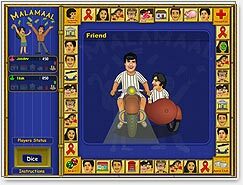 In collaboration with Groupe Developpement and European Commission, ZMQ developed electronic board games "Malamaal", a tool to addresses vulnerable young adults as their target audience. 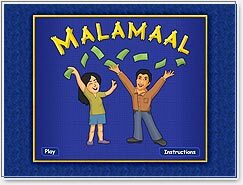 The board game Malamaal is for adolescents between 12 and 18. It is a knowledge-based game involving children and makes information seeking behaviour more attractive to them. In the game. The children receive information on different subjects through various social agents - such as teachers, doctors, police and social workers. There is a special agent on HIV/AIDS, which teaches children about different aspect of transmission, prevention and myths & misconceptions about HIV/AIDS. The game has elements of positive behaviour reinforcements and reprimand for self-destructive behaviour. In the game, health seeking behaviour is rewarded. Currently the game is available in English and is now being developed for countries of South Asia - in Hindi (for India), Urdu (for Pakistan), Bengali (for Bangladesh), Nepali (for Nepal), and Sinhalese (for Sri Lanka). 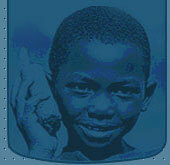 Malamaal is a multiplayer electronic board game for CLDC (Children Living in Difficult Circumstances). Install the game on your desktop, play the interesting game, and learn more. Social Impact : The game has been tried with over 80 NGOs in India. The response has been overwhelming.